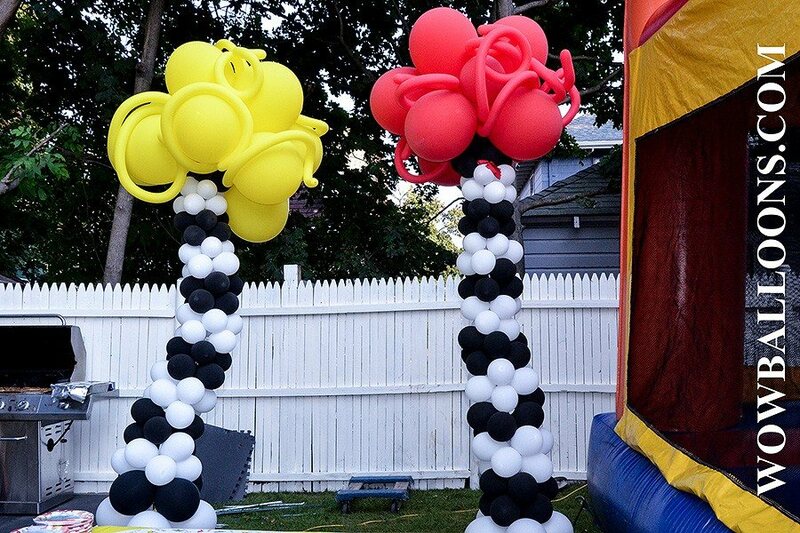 Back yard birthday party, theme - Dr Seuss. 10' trees on the picture were only part of the composition. 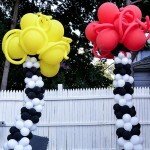 The Dr Seuss himself, big one (7' tall) Dr Seuss centerpieces, big welcome balloon arch and small decorations - all color coordinated to the theme. Well, it must be video! The picture does not do the justice!